FOCUS OF ATTENTION – A recommendation regarding a proposed plan to conserve the territory’s grizzly bear population is expected to go next month to Environment Minister Pauline Frost. PLAN BUILT ON CONSULTATION – Graham Van Tighem of the Yukon Fish and Wildlife Management Board told the public meeting last week the proposed conservation plan for grizzlies is built on what Yukoners had to say over the last two years. Last week’s public meeting regarding a conservation plan for grizzly bears in the Yukon wasn’t about shooting bears along the highway corridor. There was brief mention of it. But the meeting was focused on the proposal for the development of an overall conservation and management plan for grizzlies. There are provisions in the proposed plan for communities to bring forward requests for local roadside closures, just as there are provisions to create a mandatory ethics and education course for resident hunters who purchase grizzly tags. The proposal discusses the importance of fostering a cultural connection and increased respect for grizzlies. 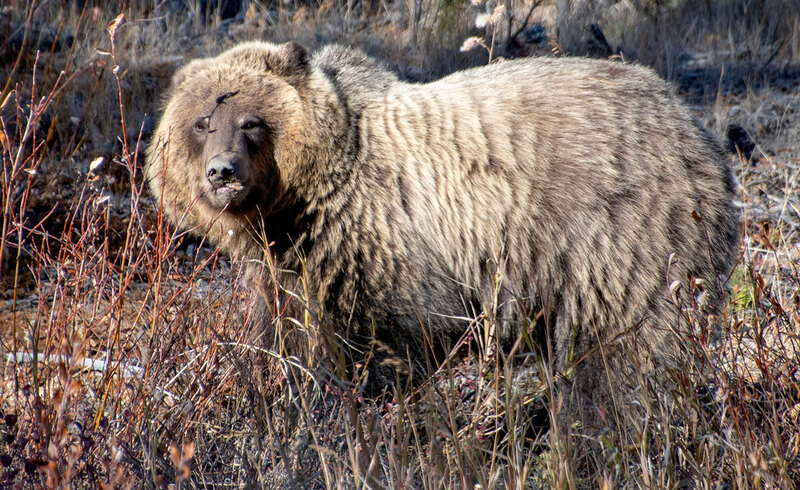 It raises the importance of considering grizzly bear habitat in land use planning, as well as the habitat of species it depends on, like moose and salmon. There’s also a recommendation to develop a total allowable harvest for each of the 29 bear management units across the Yukon. There are recommendations to minimize human-bear conflicts, such as co-ordinating efforts to reduce bear attractants. The proposed conservation plan was developed over the last two and a half years by representatives of the Yukon Fish and Wildlife Management Board and Environment Yukon. The initiative arose out of the divisive and passionate debate over roadside hunting of grizzlies, a debate that has been going on for years. The wildlife management board recommended to the Yukon government in 2015 that a working group be formed to develop an overall management plan for the territory. Executive director Graham Van Tighem of the management board emphasized to a packed room last week that the proposed conservation plan is the product of public consultation. It is a product not of the working group, but of what they heard in lengthy discussions with First Nations, renewable resource councils, communities and the general public, Van Tighem insisted. He noted close to 1,400 Yukoners responded to the public survey last year. The wildlife management board is expecting to deliver its recommendation on the proposed conservation plan to Environment Minister Pauline Frost in late December, Van Tighem told the audience. Some 85 attended the Whitehorse meeting to hear representatives of the board and Environment Yukon. Audience members included Yukoners who’ve been close to the roadside debate for all those years. It included big game outfitters, wildlife biologists independent of the board and government and students from the renewable resources course at Yukon College. For three hours, the discussion went on. Members of the public have until the end of the business day Monday to provide comments on the proposed plan to the office of the management board. • better understand human dimensions of grizzly bear conservation. The plan also identifies 33 specific actions to achieve the goals. It notes, for instance, that communities are still able to lobby for local closures of roadside hunting of grizzly bears through the regular process used to change wildlife regulations. There was little mention of roadside hunting at the meeting. But words used to lay out the seven goals drew attention. Some wondered whether words like “increasing respect” somehow suggest there is a lack of respect currently. As one audience member put it, it doesn’t matter how it’s couched, hunting grizzly bears is disrespectful. There were questions about the current practice of monitoring bear mortality, and how much of that information is shared. The issue of shooting grizzlies in defence of life and property before taking all steps to avoid having to kill the bear was raised. It was suggested hunters are purchasing grizzly tags not because they want to shoot a grizzly, but because it simplifies matters if hunters have to shoot a grizzly in the field – no explanation required. 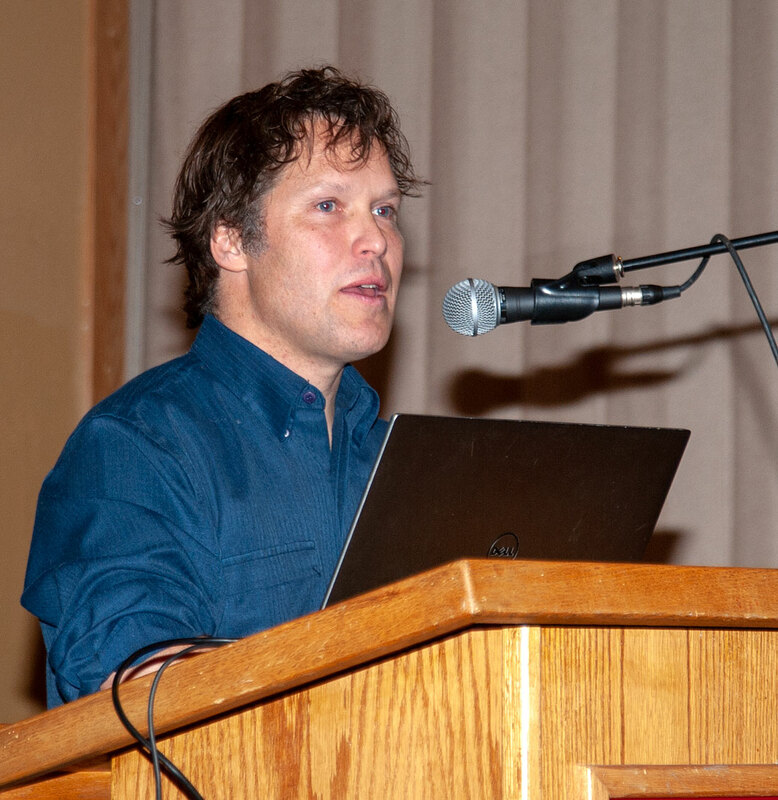 Senior wildlife biologist Tom Jung of Environment Yukon told the audience it’s in the Yukon’s interest to develop a conservation and management plan for the territory. Grizzlies, he explained, have been declared a species of special concern. The population is stable in the Yukon, unlike elsewhere in western North America, he said. He said declaring the grizzly a species of special concern, however, requires the federal government by law to develop a management plan to show how it intends to manage the grizzly bear population in Canada. If the Yukon can’t demonstrate that it’s developed it’s own responsible plan, Ottawa will step in and do it for Yukoners, he told the audience. Management plan to me means..how many ya' going to kill off? I'm sorry for this family.. but bears are not the problem.. people are. Bears only do what bears do. 2 Citidiots? Ok, I get it, like Libtard, right? Goes with the random capitalization and poor grammar I reckon. 4 For a guy from Ontario, you're awfully self righteous re. rural vs suburban Yukoners. 5 Learn to write, please, that was painful. 6 What's your point exactly? Remember that 75% of Yukoners live in the city of Whitehorse. Road side hunting prevents great many horrific slow deaths of animals by auto collisons. That limp into the bush and suffer till they take their last breath. Look at Liard section of Highway and the amount of Bison frozen in the snow banks in spring. Look at the AK hyway near Takihini river with the elk who are protected. I have had to slit the jugular on about 5 elk now in 6 years traveling between HJ and Bigville. How about the sheep at Sheep mountain. Horray!!! Limit the hunt to 1 permit and 1 lottery, your sure saving them Ewes. Oh yeah but what about the 9 that were took out in 1 event by a Fairbanks freighter this september. I applaude your sense of reason. You have citidiots who have started wilderness sightseeing and are taking van loads of tourists who get out of these safe vehicles to take selfies with bears. You operators will have the blood on your hands when the cute cub comes too close. As well we have people causing road blockages on the highway just to take a picture to head back to cementland and talk about how majestic and how they had a connection with these animals. It's completely unfair due to the democratic process which allows people who are divorced from mother nature, living in a cement jungle to make rules and regulations regarding firearms and Harvesting out on the land. I respect your rights to display your personal freedoms. And at what point does your offensiveness to me cross the line and I get to have a parade for equal rights for my lifestyle. The lifestyle and heritage that has built this country. Than one that opened the door that you come through. And disrespect mine and hundreds of thousands of other Canadians. Wait and see what happens in BC over the next 2 years. Those granola eaters are gonna freak when the BC Government has to CULL the Grizzly population. the family and friends of the trapper who lost his wife and daughter. I'm not quite convinced that this is about bear population management. I think it more about appeasing the fantasies of the sentimentalist. Bears eat game. Bears and wolves kill more moose than people do. To the sentimentalists, I say, envision a bear killing a cute little baby moosey. They do it. Let's manage the bear population wisely, not sentimentally. Hopefully something gets figured out, that is all we need is Ottawa telling us what we have to do. Also it comes to a point where I have to buy a grizz tag just in case I have to shoot in self defense, so the CO's do charge me. At this point in self defense I will just shoot it and leave it dead there and keep on my way. I don’t know who's to blame here, the Whitehorse Star or Minister Frost but I just have to say the timing on the release of this story is deplorable considering what happened here this week. WTF?
" foster a cultural connection to . . . grizzly bears"
I have no idea what that means. Bears are animals. Wild animals. In the right circumstances, they are dangerous wild animals that can easily kill you and eat you. What cultural connection are they talking about? Has everyone in the Yukon gone completely mad? Grizzly bears are not Disney characters. "The population is stable in the Yukon." We are being told that we need a conservation plan for a species that is stable; hence, NOT in need of a conservation plan. Worse, we are being threatened with the dreaded "Feds" if we don't have one. If it ain't broke, don't fix it. Which begs the question, who is pushing this? Smells like the stench of southern egos and eco-fanatics . . .
nevertheless, on a number of fronts it's not really clear that the situation of the grizzly bear and the world it inhabits is really respected in the areas that really matter. The fact, for instance, that grizzlies can still be killed from the roadside, even in the face of a survey response that affirms that 75% of Yukon residents find the practice objectionable, speaks for itself. When the US Army was building the Alaska Highway in 1942 it was commonplace for soldiers on their days off from road construction to engage in highway sniping of grizzlies. Many years later, this perversion of hunting has still not been banned outright here. The management plan speaks of bears in terms of "mortality" and "harvest". Why are bears harvested? They are sentient beings, not fields of corn or potatoes. Why is killing not referred to as killing, instead of being veiled in idiotic euphemisms like "harvesting"? What happens to a bear that is "harvested"? What will become of the offspring that are left behind to fend for themselves after their parents have been "harvested"? Bears are a highly intelligent, social species, who place great store in rearing their young. What gives us the right to "harvest" them? In view of the fact that we don't really know how many grizzly bears there are in the Yukon, that estimates of their population date back to a time no more recent than the 'eighties, and that those estimates are based on something called Bear Management Units, which are in turn based on Outfitter Concession Areas, the situation smacks of the ludicrous. Asking outfitters, a decidedly partisan crew, to keep accurate records of the animals that constitute their livelihood, is like asking the proverbial fox to keep track of what's left in the henhouse after he's made his rounds. The outfitter is not going to give you the straight goods on a population as it depletes, a population that he has been instrumental in depleting. Finally, why are bears hunted at all? Is it for their meat, to sustain indigenous hunters through a long, cold winter? Hardly. Bears are hunted for their prestige value, to assuage the egos of people like Donald Trump Jr. on his recent swing through the Yukon. It's high time that the Yukon followed in the footsteps of neighbouring British Columbia, and banned trophy hunting of grizzlies altogether. The management plan talks in terms of assessing the economic impacts of grizzly bear viewing. What about conducting economic assessments of grizzly bear killing, for sport, for fun, for prestige? We may well find that in moral and even economic terms, the sanctioning of outfitters and their trade just isn't worth it to the Yukon.